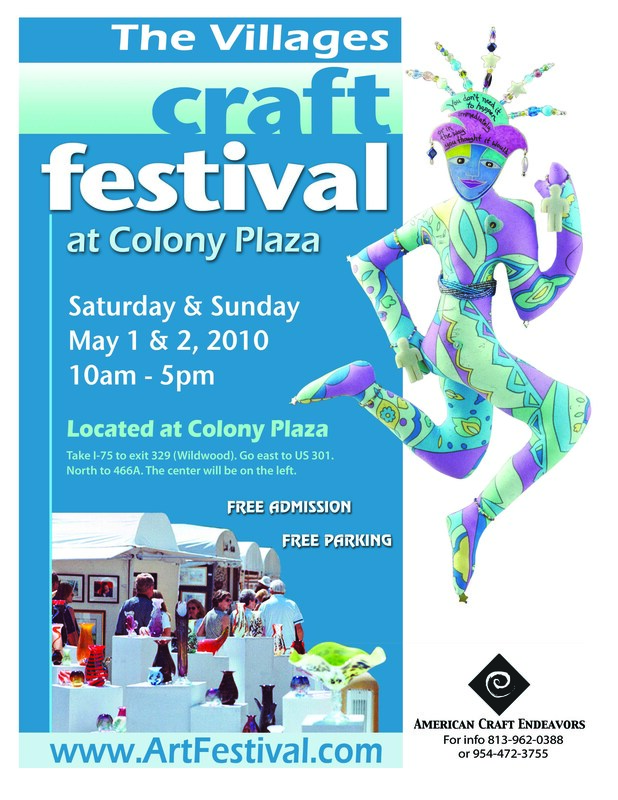 We have been producing shows in The Villages for the past 15 years, and this will be our first year at Colony Plaza! Our shows at Lake Sumter Landing, La Plaza Grande and Spanish Springs are always a big hit with Craft lovers from all over so we’re sure you’ll find this location just as exciting!. We welcome your comments on your favorite location whether it is in The Villages or one of our other fabulous craft show locations! There’s something for everyone at this craft festival, featuring arts and crafts all created in the U.S.A. Handmade one-of-a-kind jewelry pieces you will not find anywhere else, personalized wall hangings, art for your pets, ceramics – functional and decorative, and much, much more. An expansive Green Market lends plants, exotic flora and homemade soaps. Come find that unique gift and we will see you there!! This show is one not to be missed!!! 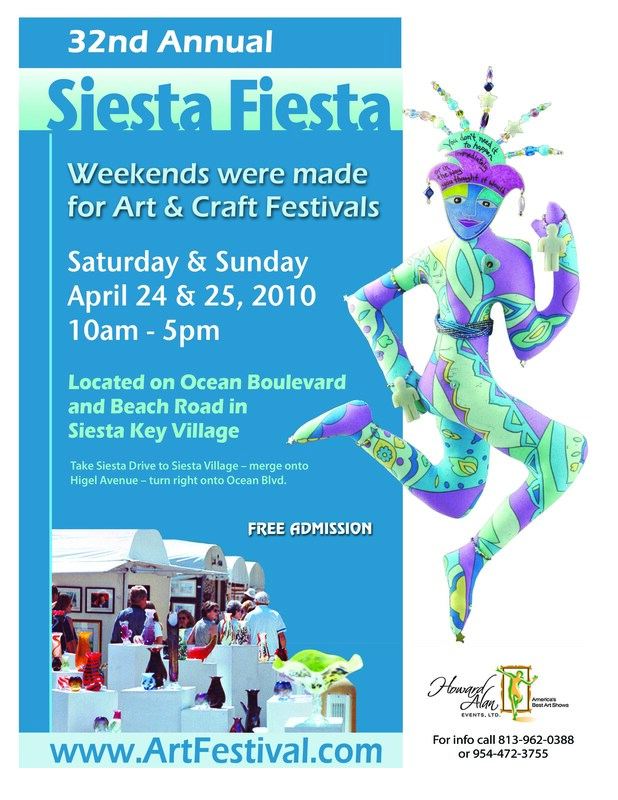 Take in art from 250 of the nation’s most talented artists & crafters as you stroll along the beach. The artists and crafters will be showcasing life-size sculptures, spectacular paintings, one-of-a-kind jewels, photography, ceramics and much, much more. There will also be a green market selling live orchids, body products, and tasty dips. This is one show not to be missed!!! Planning a trip to Tampa, or nearby St. Petersburg? Put this event on your list of things to do. 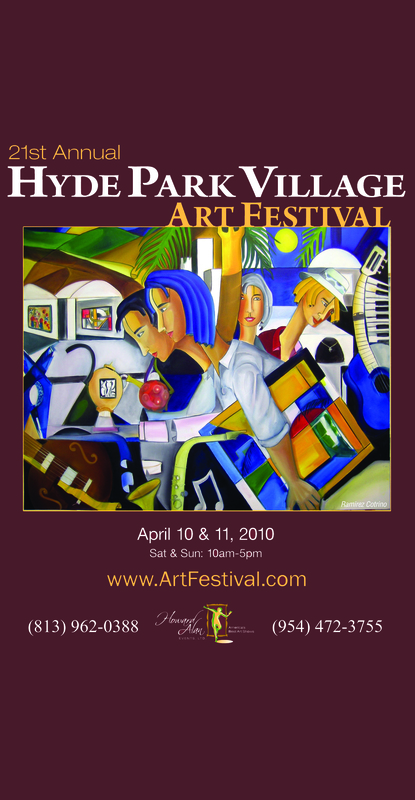 Tampa’s trendy downtown area of Hyde Park Village with brick courtyards, fountains and tree-lined streets is the perfect backdrop for a fine outdoor festival such as the 21st Annual Hyde Park Village Art Fair. Life-size sculptures, spectacular paintings, one-of-a-kind jewels, photography, ceramics, and much more make for one fabulous weekend. 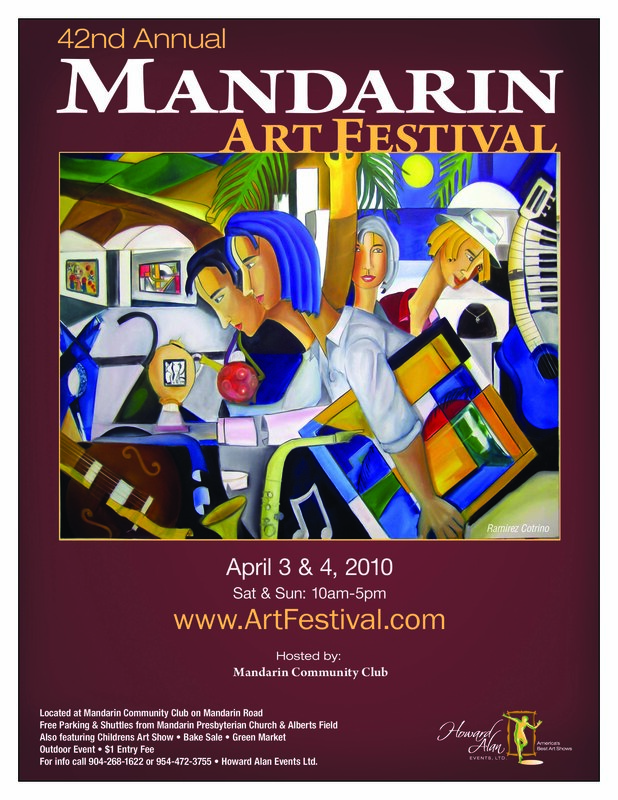 The Mandarin Art Festival storms back for it’s 42nd year. Artists from all over the nation will converge on this historic community on Easter Weekend. Art lovers from all over the area will be taking in gorgeous paintings, exquisite jewelry, hand made pottery, breath taking photography, and larger then life sculptures. Also going on this weekend at this great art fair will be a kids art show, a one-of-a-kind green market, as well as a kids Easter egg hunt. Bring the family for this time honored event that offers something for everyone. There is an admission fee of $1 per visitor benefiting the Mandarin Community Club.